Hello, Giorgia here today from Italy. I am so happy to be part of the Lollipop Dream Team and to share with you my first project using the January kit “Do What you Love”. 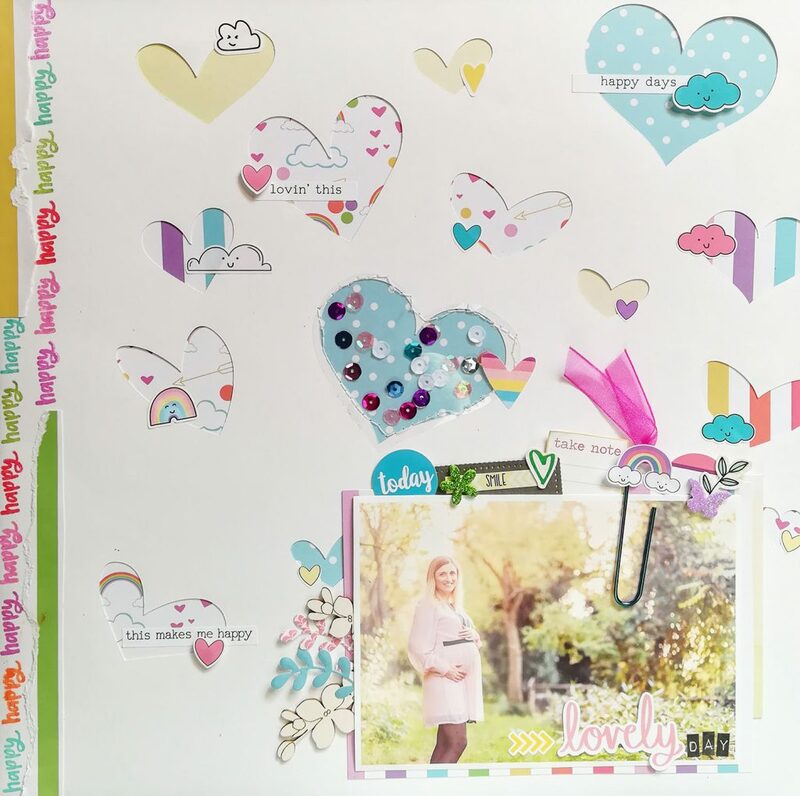 I am a scrapbooker with a passion for layouts, mini album, cards and home décor too, but layouts are my favorite thing to do. 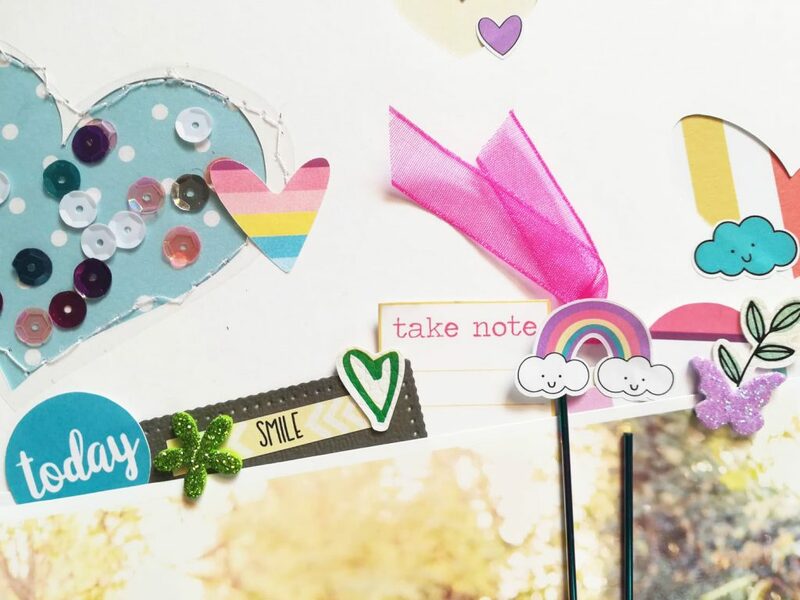 The January kit is full of colorful items and sparks joy to me. 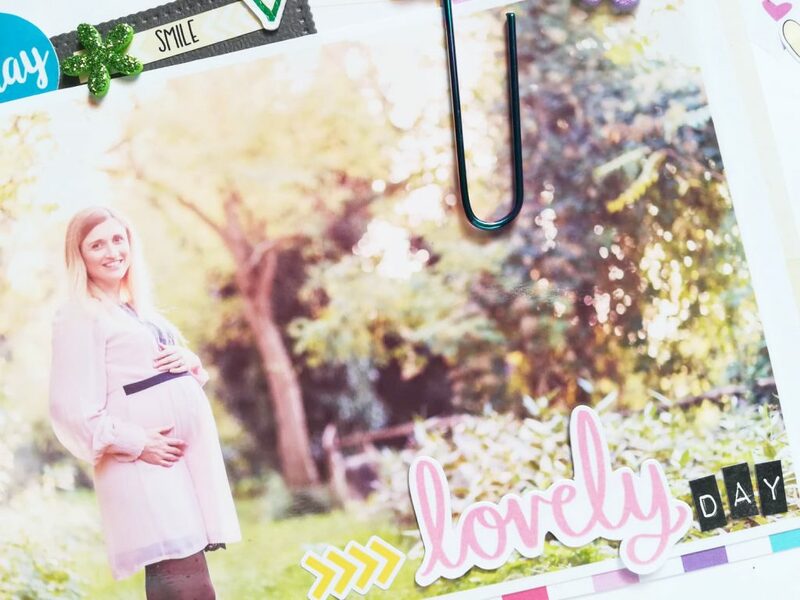 It inspired me to create a layout with one of my pregnancy pictures – now I am the happy mom a sweet Isabella, she was born on 30th December. 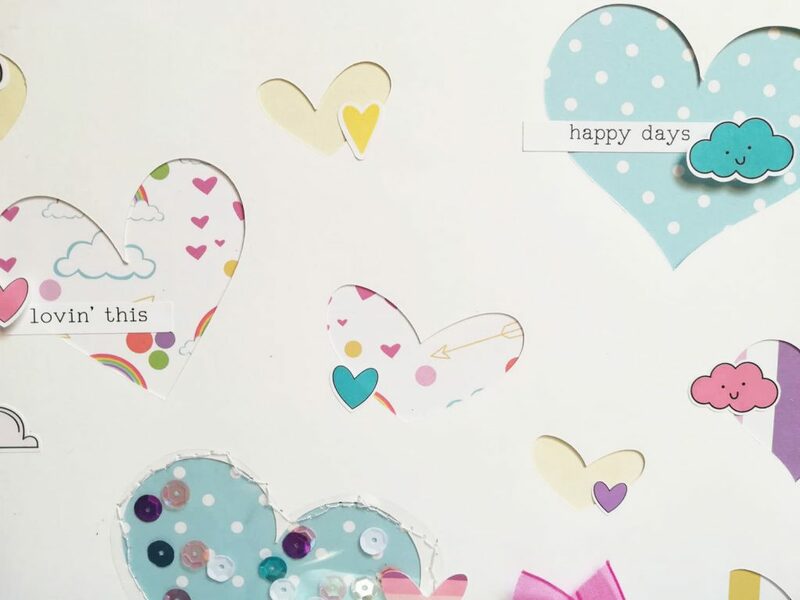 I used a cut file to create a heart background on a white cardstock and then I backed each heart with patterned papers from the kit.On one of the hearts I created a shaker pocket filled with sequins from the kit. I used sewing machine to create it – it is not perfect, I’m not so good in sewing but I love embracing imperfections in my projects! On the left side of the LO I stamped in different colors the “happy” word from the exclusive stamp set of the kit – I love this tiny little word – and the rainbow stamp too! 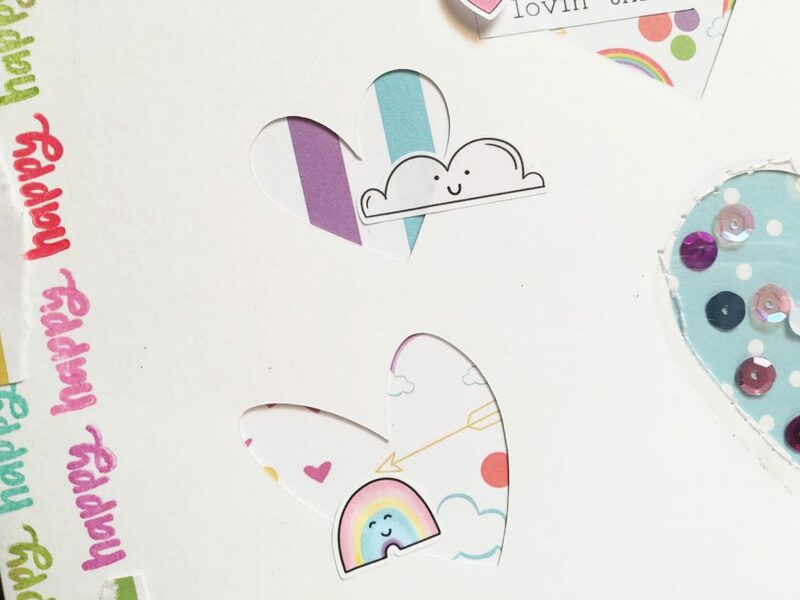 I used stickers, ribbon and die-cut from the kit to embellish the layout: I simply love all the cute little smiling clouds! And the cute smiling rainbow too! I also added a mini journal tag cut from the sheet included in the kit. I completed the LO with branches die-cuts and wooden flowers to match the picture, taken in a park near my home. I hope you have so much fun creating with this kit… I certainly had! This is such a happy page, I love it!